manfred Reicher : " ?.......toooo bad we don't have the intelligence to realize this. In every civilization mankind has destroyed his habitat and himself, we are in that process now. 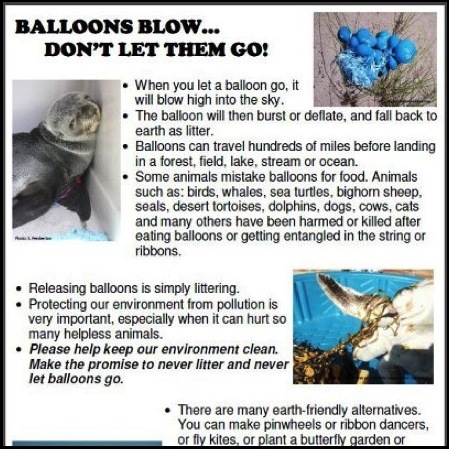 We are destroying the earth , poisoning the air, the food we eat, but as stated here we have become the most dangerous of all mankind enemies, ourselves,..............who really want to listen to this truth and ....."
BALLOONS BLOW. . . DON'T LET THEM GO! 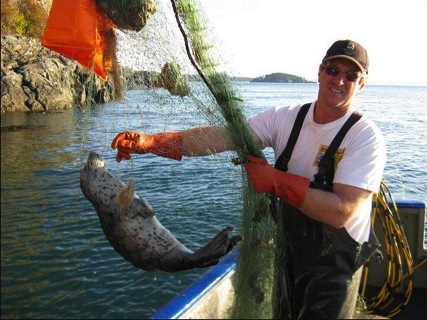 Literally THOUSANDS of seals drown in discarded fishing nets each year. Please remove marine debris such as rope, plastic and netting from beaches. were found dead on the shoreline. 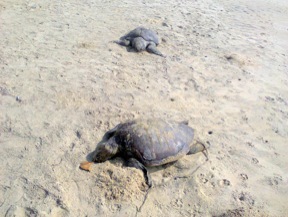 Nature Drive NDTI is planning to bury the dead tortoises on Wednesday in the sand at the beaches. We will send two of these tortoises to the laboratory for further investigation to find the cause of their death. On first sight it seems to be caused by unhealthy water condition like increased acid levels rather than fishing activities. 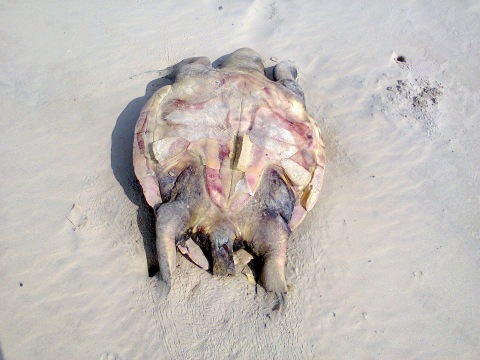 Whatever the reason for this massive death might be, it is very sad news for animal lovers. CHEWING GUM - DID YOU KNOW . . . .
Did You Know That . . .! 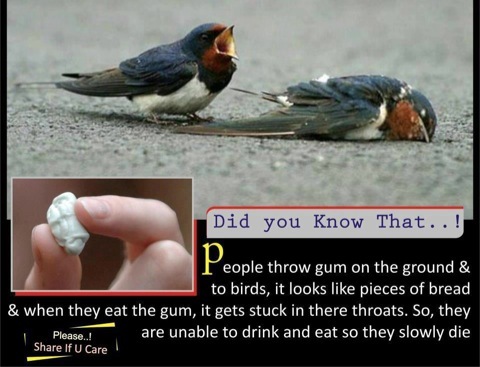 People throw gum on the ground & to birds, it looks like pieces of bread & when they eat the gum, it gets stuck in their throats. so, they are unable to drink and eat so they slowly die. This short film by American director Ramin Bahrani (Goodbye Solo) traces the epic, existential journey of a plastic bag (voiced by Werner Herzog) searching for its lost maker, the woman who took it home from the store and eventually discarded it. Along the way, it encounters strange creatures, experiences love in the sky, grieves the loss of its beloved maker, and tries to grasp its purpose in the world. Effects of CO2-driven ocean acidification on the early developmental stages of invertebrates. on the early developmental stages of invertebrates. This is problem with many tourists, there is a urgent need for education. 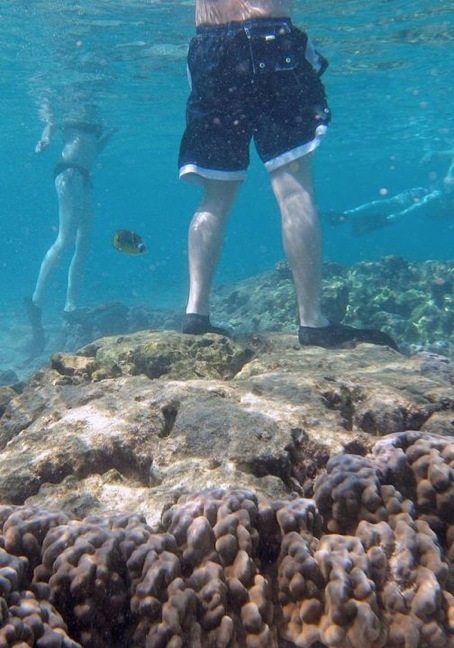 Corals are damaged just by touching them, standing on them is a killer. 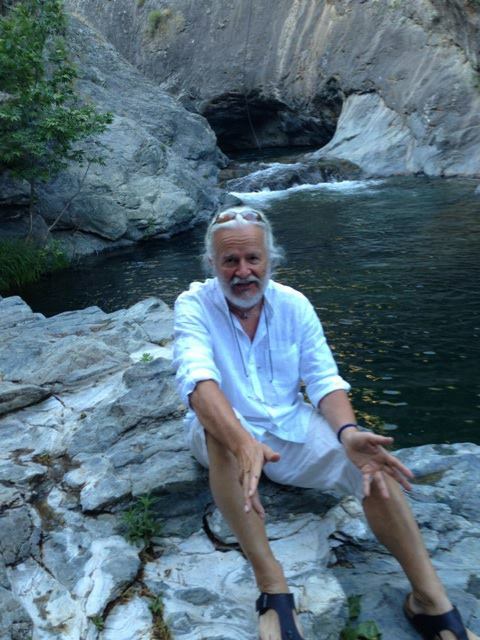 Image from, Maine Photobank and Ziggy Livnat. If you’re working toward a Masters Degree in a nutritional sciences or public health-related field, chances are that you’re probably aware of the fact that sometimes, people don’t eat what’s best for them. Consuming unhealthy or non-nutritious food is usually a choice, but sometimes, the things people eat are much worse for them than they know. When it comes to seafood, the average person is consuming well over 30 pounds of it each year. From those who are serious seafood aficionados to those who eat it for its numerous health benefits, people all over the world indulge in popular fish options like tuna, salmon, and more every day. But while the whole globe is enjoying its fishy favorites, very few are taking into account that there’s something else lurking in the water: Garbage. With 70% of our Earth’s surface covered in water, and the other 30% of land being inhabited by 7 billion people, it comes as no surprise that some of the waste we generate is ending up in the water. But realistically, far more trash is flooding our oceans, rivers, and lakes than people think, and this has begun to result in murkier waters, warmer oceans, and bits of trash in the bellies of fish we eat. In a one-day clean-up of shores the whole world over, people have been shocked by the sheer volume of refuse one can collect in a day. It has become clear that continual clean-up of our world’s water is absolutely necessary—or else we’ll be eating our own trash, now and for years to come. “This photo caught my eye. 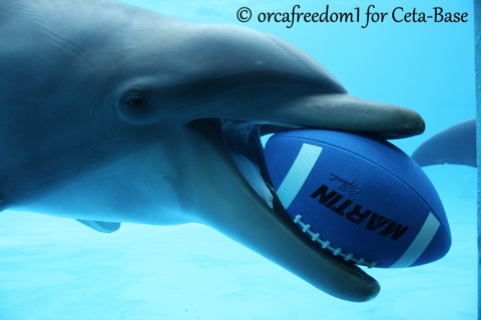 I would be very extremely concerned about captive dolphins holding objects in their mouths, for they could ingest them! Sydney's seafront and harbour is well known for its pristine tidiness, but delve under the water and it is a different picture. Now divers are attempting to clean up the rubbish that accumulates from the city's waste water & Dylan Stableford, Yahoo! “Among their results, the researchers report that the concentration of organohalogen compounds used in solvents, refrigerants, and pesticides in a mother's blood is highly correlated to levels in her developing baby. “His results confirm that children appear most at risk in the womb, where mercury seems to deform the brain’s fragile architecture and upset the maturation and migration of brain cells. But Grandjean also found that mercury could threaten children’s nervous systems well into adolescence. According to estimations, millions of tons of that plastic trash are out there, also in totally unknown areas! 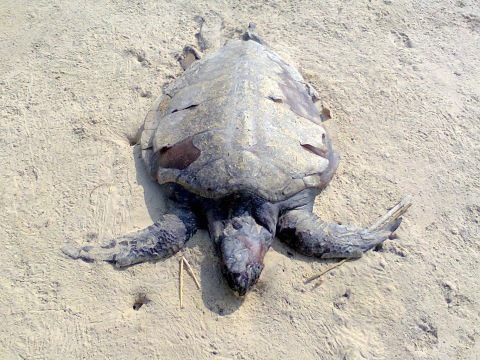 An oceanic problem on that scale deserves the global name "PLASTLANTIS". Our fellow humans still don`t want to face this truth about dangerous plastic pollution. 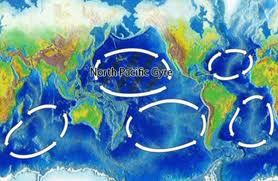 Fact is, at this very moment you can find plastic everywhere in our oceans, as well on our shores as on the high seas ! The vast expanse of all these smaller and bigger particles is held stationary by swirling underwater currents, the Gyres. 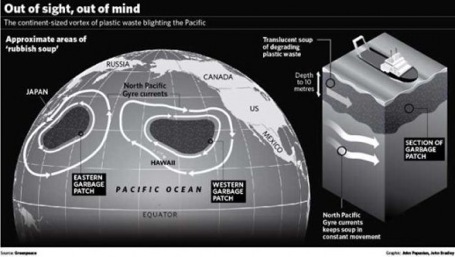 A "plastic soup" of floating waste in the Pacific Ocean now covers an area twice the size of the continental U.S. The plastic trash is still growing, day by day at an alarming rate. Millions of fish, birds like "Albatross", sea turtles and other forms of life die every year as a result from eating this plastic. 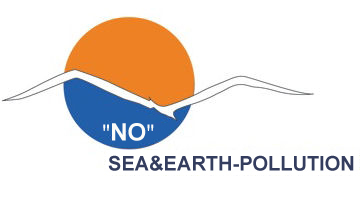 Since the problem exists in international waters you could say this is nobody’s and everybody’s issue ! WE ASK ENGINEERS & SCIENTISTS, DESIGNERS & PROMOTORS TO JOIN AND BE PART OF OUR PROJECT ! 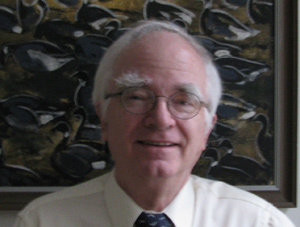 Read text from Mr Tilo Materna, Ph.D.